I work with elements found in my environment, and derive color from the natural process of oxidation of iron and copper. Movement, change, light growth and decay are the lifeblood of nature, these energies I try to tap through my work. By touching, gathering and preparing these materials a new bond to place is made. I wanted to do something that would make people look at their natural surroundings differently, to think about their relationship to the earth, and the earth’s resources with greater awareness. Why rust? Rust is the ‘breathing” of iron as it oxidizes. The rusting of the Earth represents one of the great evolutionary events in the planet’s history. Why carbon? Carbon is present in all known life forms. 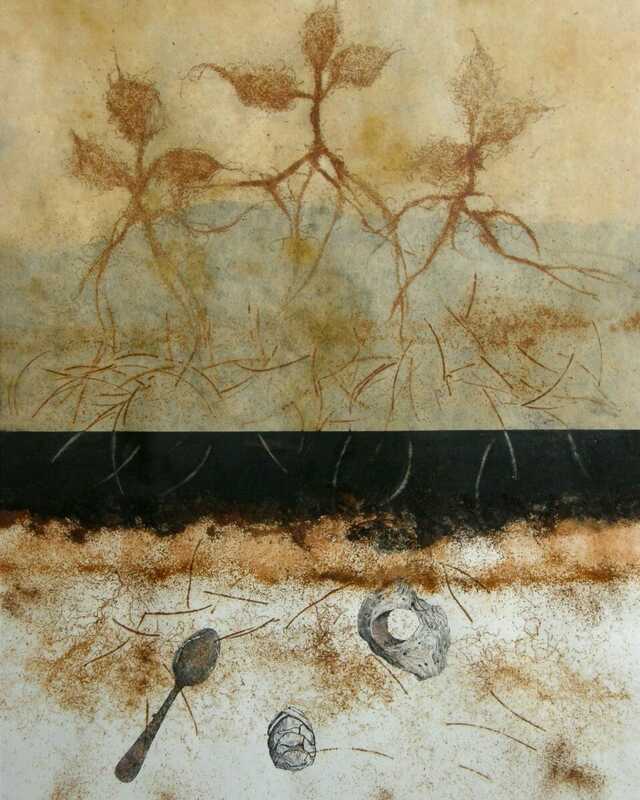 Using natural materials to create art harkens back to the Stone Age, when Prehistoric people would use organic and mineral based pigments, such as metal oxides and iron, to make marks on cave walls. It is an opening into the processes of life within and around it. I want to get under the surface. The energy and space around a material are as important as the energy and the space within.